Anti-Wear Mineral Oils (AW) High-Pressure Microfiltered There are 4 products. Maxifluid 32 HLP is a high-quality microfiltered mineral hydraulic, formulated with high degree refined paraffin bases and state-of-the-art additives. 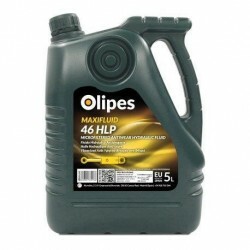 Maxifluid 46 HLP is a high-quality microfiltered mineral hydraulic, formulated with high degree refined paraffin bases and state-of-the-art additives. Maxifluid 68 HLP is a high-quality microfiltered mineral hydraulic, formulated with high degree refined paraffin bases and state-of-the-art additives. Maxifluid 100 HLP is a high-quality microfiltered mineral hydraulic, formulated with high degree refined paraffin bases and state-of-the-art additives.